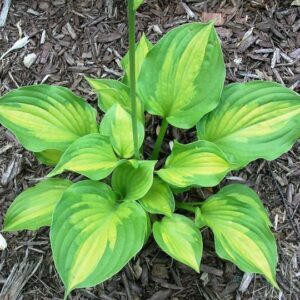 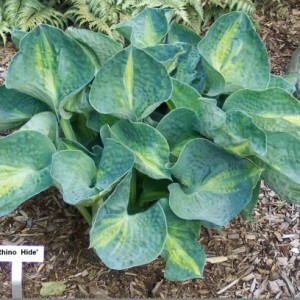 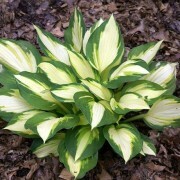 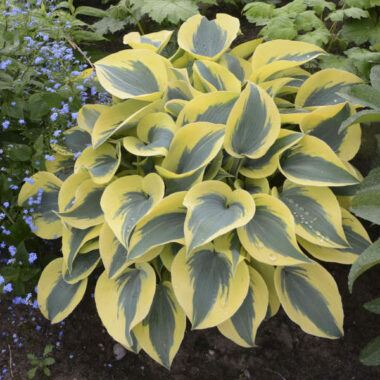 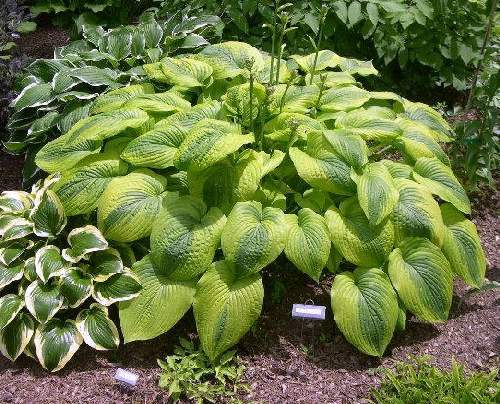 Royal Flush Hosta – Each 30″ wide clump is composed of wide tapering leaves that arch on long petioles. 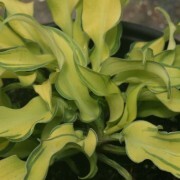 Each leaf is similar in appearance to H. montana ‘Aureomarginata’ but with an olive-green center pattern surrounded by a tremendously wide butterscotch yellow border. 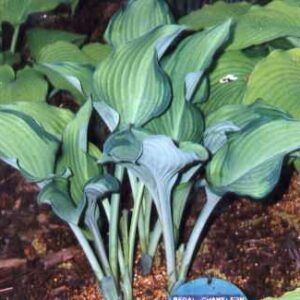 The clumps are topped with 30″ scapes of light lavender in early summer. 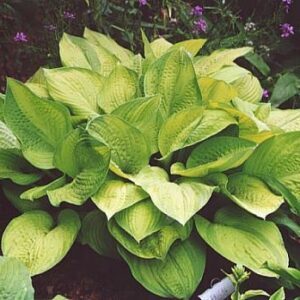 Medium: 25″ x 58″ mound; Wide yellow margins on medium green, heart shaped leaves. 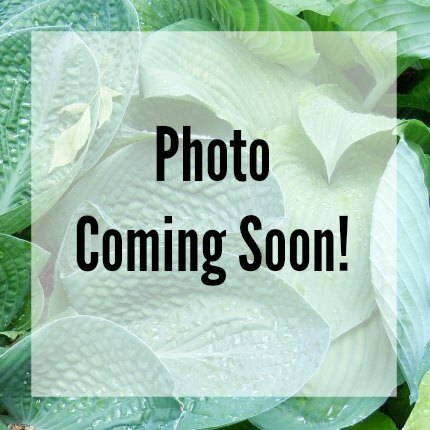 Light purple flowers in July.